Roberta McQuade is a highly strategic Global Senior Human Resources Executive with experience in privately-held, public and foreign owned manufacturing businesses in the areas of oil/chemical, industrial packaging, aerospace, electrical tools/devices and food/consumer industries. 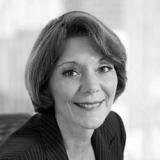 As a global HR executive at five companies, Ms. McQuade has consistently handled complex business portfolios with responsibility for international HR, compensation, benefits, acquisitions and their integration, culture shift, policy, cost management and union avoidance with companies from $330M to $18B. She has led through the dynamics of fast expansion in both organic and acquired growth situations. Her role has always been as a strategic partner to both the CEO and Board at Signode Industrial Group, Illinois Tool Works, IDEAL Industries, AAR Corporation and Martin-Brower Company. Some of the countries she has worked with and had responsibility for are Mexico, Canada, China, Korea, Hong Kong, most European countries, Abu Dhabi, Dubai, India, Australia, Brazil and Puerto Rico. Ms. McQuade also has experience in operations, sales and general management. She led a plant turnaround at GATX, as well as held several sales positions. She has led strong business growth experience with notable P&L improvement. At ITW/Signode, she built an entire Corporate function for a business portfolio of 108 businesses in the Industrial Packaging platform with a total revenue of $2.5B and 7500 employees globally. At Arbor Investment, all businesses that were bought were expected to grow, thus her role was to quickly understand the business, define key problem areas, assess management, analyze cost vs. value and seek appropriate cost containment and expense control. This involved a rapid yet accurate grasp of resources, processes, customers, business model, employees, leadership and the combined ability to drive growth. She has enjoyed handling many complex challenges because it provides her an opportunity to create innovative approaches and think “out of the box” to determine the “best” solution. She is very practically minded and interested in solutions which often use analysis, programs and processes to achieve the desired solution. Her Board roles include both corporate and non-profit. As the senior HR executive at each of the corporations she has provided reports, guidance and insights to the Boards whether public or private companies. This includes interfacing with the Compensation Committees. She has served on three non-profit Boards/Advisory Boards, the largest of which is the Archdiocese of Chicago at $70M with 15,000 employees. Ms. McQuade has a Bachelor’s Degree in Marketing from the University of Notre Dame, an MBA from Pepperdine University, has her CCP (Certified Compensation Professional) and attended the University of Michigan in 1982 for Labor/Union. She is married with one child and lives in Kildeer, IL. Talent acquisition has changed forever. The days of success from passive job posting are over. You must foster a level of engagement and interest out in the candidate marketplace. The challenges in recruitment are rooted in outdated marketing strategy, a strategy that warrants reinvention if you seek to attract and retain Millennials and Generation Z. This session addresses recruiting strategy head-on, providing a roadmap to reinvent recruitment and attract talent for your next generation workforce.